We all want medical devices that improve the quality of life for patients, right? This is the ultimate goal of medical device companies, and yet many are not doing so well at the requirements that get them there - including having a professional approach to quality management. I sat down with Mike Drues of Vascular Services recently, to discuss what it means to be a true quality professional, where companies are going wrong and the link to those benefits for patients. 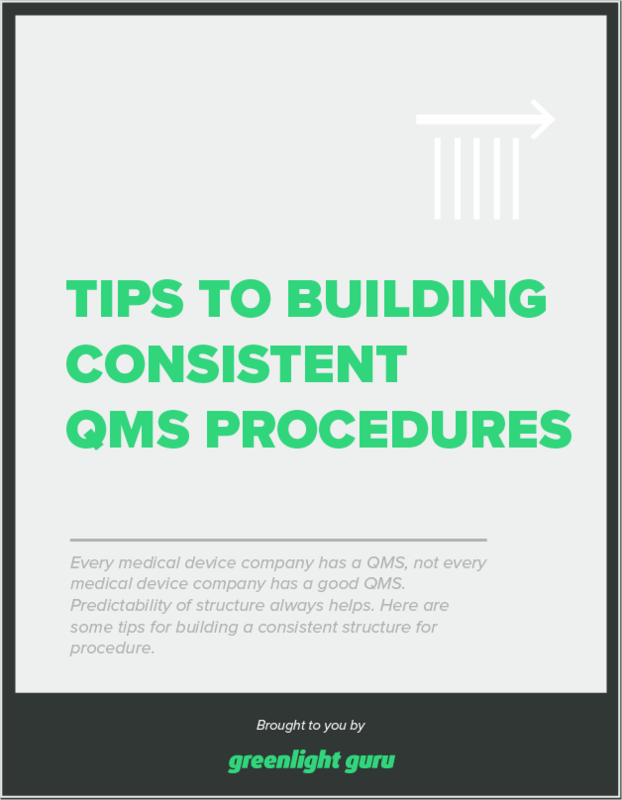 Bonus Giveaway: How to Build a Consistent Structure for Your QMS Procedures. Click here to download free PDF. Are you a “box checker” when it comes to compliance? Or, have you taken it up a few notches to become a true quality professional? When you run your business smarter, it’s better for you and for your patients. The FDA issued approximately 1000 483s for each of 2016 and 2017. This is comparable to the total number of warning letters issued for drug companies, biotech companies, and veterinary companies combined. In a small number of cases, the FDA is issuing more consent decrees - these tend to go to companies who have repeated violations of the same or similar nature. Lack of appropriate procedures for nonconforming products. As Mike says, there’s really no excuse for this and it shouldn’t be happening at this frequency. There seems to be a disconnect between what the regulation requires and what companies are actually doing. The regulations have been in place for a good 20 years! The practices and expectations are not new. There are plenty of resources out there - conferences, websites, courses, consultancies - so why is this disconnect happening? How do we ultimately move forward? 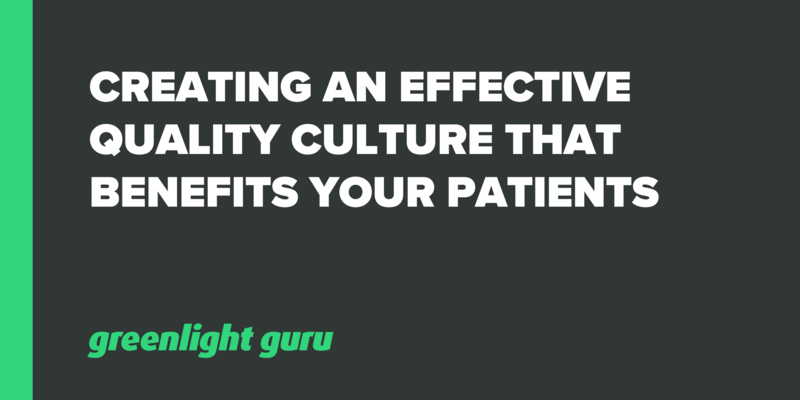 There are software tools to help, such as Greenlight Guru for streamlining the management of your quality system. Training is an important piece as well. A typical person has forgotten about 50 percent of what they learned in training just one hour after completing it. One month after the training session, that number goes up to 80 percent forgotten! Most people only remember 20 percent of what they learned long term. In too many companies, they’re emphasizing the memorization more than the actual, quality learning. They encourage team members to learn steps one through ten like a recipe, or like computer coding, but people don’t retain the information. (Anyone who has joined teams that I’ve been a part of understands that I’m a “baptism by fire” person! We can talk for days about regulation and procedure, but the real proof is the hands-on application of those principles). Is the root cause of these quality issues our training programs? Are we too laissez faire, checking off boxes and proclaiming people to be “trained” just because they’ve been through some kind of reading of the regulations? Mike has a direct experience with this. A couple of years ago he was invited into a Fortune 500 medical device company because they’d received about a dozen 483s over 18 months. One of the things they’d agreed to do with the FDA was to offer more employee training, most especially around design controls. Mike offered a total of 10-15 sessions on design controls, which was mandatory training for many people. In the end, only about 60% of those people who were meant to be there actually showed up! The other thing here was that the company had requested he do the design control training in two-hour blocks, which is a short amount of time for a herculean topic. Afterward, many of the attendees were quite candid about their feelings - they felt that the company was simply sending them to the training so they could “check the training box.” They knew they needed more than those two hours. The real opportunity in this industry is to shift the common mindset from being compliance-focused. If you’re only focused on complying with regulation, at best you’ll only be average. The opportunity is to apply these principles and practices in ways that significantly improve our quality. We can provide better outcomes to patients, which is after all, the aim. How do we measure our training efficacy? What is the most common way that companies demonstrate they sent people to a particular training? They get people to sign the sheet saying they attended. However, signing the sheet is not synonymous with actually learning. You can turn up to medical school, but that’s not the only requirement to become a surgeon. We suggest that this is not appropriate for medical device companies either. As stated, box-checkers are at best “C” students. The bottom line when it comes to training is that there are much better methods for effective training, and when it comes to efficacy, we can do better than collecting a signature on a form. All companies are required to have a quality system, but the interesting thing is that most don’t measure the efficacy of that system. Sometimes they’re worried that they’ll actually find an issue, invalidating their system. Measuring efficacy is an opportunity for companies to get in front and ensure that their system really serves their company and the end goal of doing better for patients. Sometimes a system has all the components that make it compliant, but there is something in the mechanism that makes it less efficient than it could be. I had a company call the other day and say “we forgot to do a management review in 2017, can you just come over and look it over?” What they’re asking for is a surface-level checkbox activity. They’re missing the true value of a management review or internal audit for measuring the effectiveness of their QMS. You’ve got to be prepared to go into the detail and understand holistically what’s going on to get true value from it. First of all, having a QMS in place is not optional - everyone has one. The issue is that we need to make sure it works and find good ways to measure efficacy. Just because something meets regulatory requirements, doesn’t mean your system works. Test and validate - it’s a simple idea. Secondly, don’t just think of the system as being something that exists on paper. You have to live it. Mike is involved with some medical device court cases as an expert witness. Right now, he’s finding that companies often have a system in place, but they’re not entirely following it. The liability attorneys just love that. Thirdly, the data doesn’t lie. We as an industry have a lot of work to do to ensure that we’re effectively applying QMS policies and practices. If you’re happy with just going through the motions, you’re going to get mediocre results. This is not something to wait until immediately prior to an audit to deal with. It’s a culture. If your company could use help with ensuring you have an effective quality system leveraging software specifically built for the medical device industry, request a demo via this page. Don’t be another 483 statistic.